A community of David Archuleta fans from Canada and around the world. 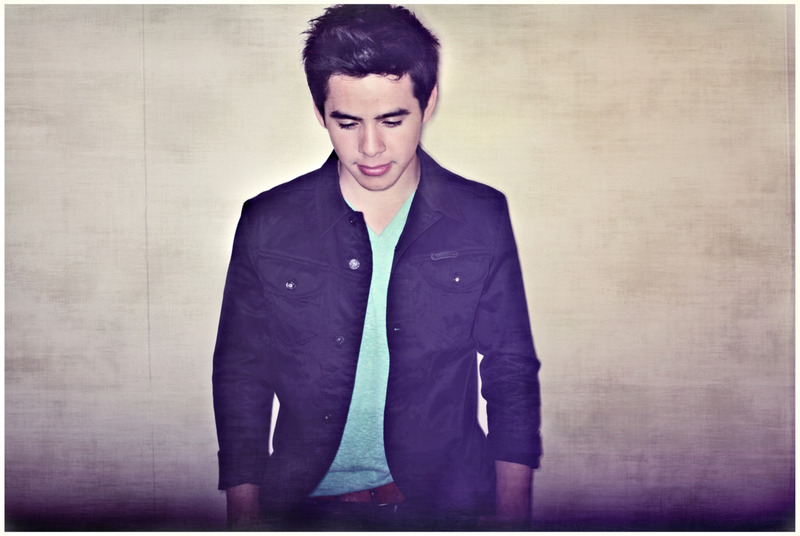 ← David Archuleta: New sound? Or true sound? “As Simon Cowell would say … ‘Everything and More’ just isn’t relevant.” I read this line in one of the trashy blogs that pop up in my Google alerts from time to time and instead of dashing off a defensive comment to Pop Dirt or Dust or whatever it was, I stopped and thought about it. As a fan, obviously David’s relevant to me, but how about to the music industry in general? And that got me thinking about what constitutes relevance in today’s pop scene? Is it adding auto-tune effects and repeating the same lyrics over… and over…and over… and over … to be “radio-friendly” (code for sounding exactly like every other song on every Top 40 station)? Or is it recording truly original music that sounds like no one else on the planet *cough*AdeleFlorenceandtheMachineTheCivilWarsMumford&Sons*cough*? I think it’s all those things … but only if listeners respond to your music, hopefully buy it and turn up at your concerts. That is the true test of relevance in my view. Lady Gaga probably represents the current standard of “relevance” — all other up-and-comers are usually compared with her talent for generating both hit songs and headlines. But back when she was starting out and tirelessly touring, radio stations told her they couldn’t play her “club” music … it wasn’t “relevant” … didn’t fit in. Her getups certainly didn’t fit in. But she stayed true to herself and her sound and look at her now. Bingo! Music to my ears. THAT is exactly what will set him apart from the crowd and guarantee his relevance…. 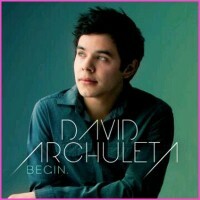 David knows, as we do, that emotional connection between song, singer and listener is the mark of a true artist, a relevant artist … and who does that better than David Archuleta? Simon and whoever else can go ahead and lump him in with all other former Idol contestants who faded into obscurity but we know better. David’s taking a huge leap of faith walking away from major labels and onto the showbiz tightrope without a net. How can detractors accuse him of not being relevant because he doesn’t take risks? David’s brave enough to stay true to himself in a business where shock value is often the only value. No worries. Along with That Voice, David Archuleta’s relevance lies in his undeniable talent, his fierce pursuit of what’s real and true, and his heart of pure light. He is David and the music industry is Goliath and we all know how that turned out. 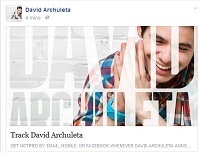 This entry was posted in Fan experience and tagged David Archuleta. Bookmark the permalink. 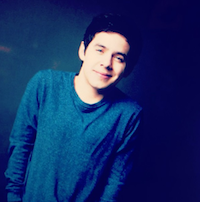 37 Responses to Is David Archuleta relevant? Really great post. Well done. You make me smile so wide! Loved this post TOfan – loved it! Exactly! I hope you can hear me applauding. Totally agree…I think David should stay true to what he believes…money isn’t everything and he’s still young…I think he should focus on writing and creating songs that he will continue to love to sing and vocally shine….I’m sure it’s hard to find out what is his sound and what is relevant to listeners but I know if he keeps on growing at this speed and continues to be adventurous he’ll get there in no time…I would hope that he never stops vocally challenging himself which is what is keeping him different and unique from most artists who only strive for money and fame more than artistry…Keep at it David!! “I want to make my voice come through more … I want to do songs that are more vocally driven, so I can be emotional.” <– THAT was music to my ears too when I first read it and you are so right that that is what will set him apart from everyone and guarantee his relevance! Now that he is free from Jive at last, he is on his way, yes sir! Love your post too TOfan, very well done, very well stated, excellent! Just listened to David’s new song Everything And More (several times) and it is a sweet, lovely song, I honestly can’t help but fall in love with it and love the vocals (the words are pretty awesome too). I think that this song is just a touch of sweetness from David and especially for his exciting Asian tour and there will be so much more to come. I’m sure there will be more of that bluesy, soulful sound too that is so incredible from him. Love his ballads and everything from David, just know that so much more is up ahead! This song will be a treat when he sings it for his Asian fans on tour, apparently he will sing it…..be wonderful live! Really love what David said too ““I want to make my voice come through more … I want to do songs that are more vocally driven, so I can be emotional.” Yes, how it should be! Nothing can be added to this post TOfan. You certainly got it right and said it perfectly, IMO. 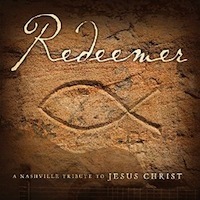 “He is David and the music industry is Goliath and we all know how that turned out.” >> Amen! Relevant? Absolutely. He speaks an ancient secret language when he sings of connection, of what it is to be human. Since he is doing what he wants I could not be more content as a fan with the pace and direction. Talk about taking control of one’s life. I’d like to see him add a couple more chapters to “Chords of Strength” to flesh out what he has shared in vlogs and interviews. Wonderful thoughts TOfan. And the beat goes on…..
Ah TOfan, as always I LOVE your post. David is very relevant, yet very rare in being able to make the listener “feel” the lyrics, not just hear them and I can’t wait for more people to experience what we feel. Thank you Tofan, High fives to you. David is relevant to me and all his fans. The “relevance of today is not relevant to me” I love David’s way. thanks for such a super article. “He is David and the music industry is Goliath and we all know how that turned out”. Love this post, Deb! That last sentence says it all for me!!! David and Goliath…love the analogy…great post! Well, the detractors may say David is not relevant because right now the U.S. music industry and the West think they are still calling the shots when it comes to what music people should listen to. In this era of globalization, there are still people in other parts of the world that loves music and may have different taste in music they want to hear. I think David’s break with Jive and doing Asian tour is well timed because the economy in this continent is better. If he can penetrate China & India market, he can be his own record producer in a short time. I hope he considers doing concerts there in the near future if he has no plans this coming July. Long time lurker and I love your site. Thanks for all the comments, guys! & auluv, thanks for de-lurking! Interesting what you say about globalization. I was just reading yesterday about Elliott Yamin releasing his latest album only in Japan (where he’s very popular) and that he was still looking for distribution in the U.S.
A ‘voice’ is no longer considered relevant these days. Before you skewer me, please let me explain myself. There use be a time it was about belting high notes or an artist’s interesting timbre. It still is, but less than what is required to make a great record. In all honesty I think a voice is probably 1/10th of what is necessary to be relevant musican/artist of this current climate. Let’s face it, anyone can sing (ignore celeb fads). The key factors now, for me anyways is the ‘songwriting’ and ‘instrumentation’ and does it fit in well with the singers voice. Now to answer the question, is David relevant? If you mean relevant to me, then Yes. But if I’m honest, musically he is behind contemporary artists of his age (such as ‘Christopher Drew Ingle’ and the exceptional ‘Laura Marling’) in the songwriting department and how he defines himself as an artist . I still think he’s trying to find out who he is an artist, which I am more than happy to wait till that time comes. wow, you’re spooky, Nes! I’ve been thinking a lot about that very question — whether a great voice (or even musicianship) even matters anymore in today’s music industry. I watched the first episode (and last week’s ep) of The Voice and found it interesting that they decided to call the show that when many of the big hit-makers of today have very mediocre voices at best. I think you’re absolutely right, it’s the songs themselves that matter most (and how they’re produced). And when David eventually records a song that matches the brilliance of his vocals, THAT’s when the world will sit up and take notice (the way they did with Imagine … when the calibre of the song matched David’s genius, imo). He’s so brave to be out there finding himself as an artist with all of us watching, yikes, how does he do that? I’m more than happy to wait, too … not really wait but watch it unfold … pretty cool since most artists I “discover” are all ready fully formed so this is pretty exciting stuff to me. I haven’t read the “trashy blog” but it appears to be way different than your headline. If the writer wrote “As Simon Cowell would say … ‘Everything and More’ just isn’t relevant” instead of “David Archuleta isn’t relevant” (your headline) then s/he is absolutely correct. EAM didn’t make TOSOD and is being released, as part of a bonus EP, in parts of Asia to make Sony (and David) a few extra bucks during his tour. That’s all. Of course the online fans — and LadyV — will try to make it into something counterproductive as usual. TOfan, your opinion is expressed with eloquence. Well done. I think David is relevant and will continue to be more so, as he develops his own sound. Recall how Andrew Lloyd Weber described David: “He has his own idea where he wants to take a song and that is so rare that we all should be saying Bravo!” With that in mind I think that David will really shine when his own sound is sorted out and then he can take that new sound, melody and lyrics and put his own vocal styling on it, taking the song to a place only he can go. It’s going to be amazing to see this unfold. Can we add “a style in VOCAL MUSIC that arrests attention and has a penetrating or convincing quality or effect”? I think so. I point once again to Andrew Lloyd Weber: his attention was arrested and he was convinced of David’s relevance in the future of music. Golferguy, interesting way to look at “relevance,” I hadn’t thought of it quite that way. I like your word “arresting” because that’s exactly what I thought of David the first time I saw him (on Shop Around). I stopped in my tracks and paid attention… clearly still doing that, lol. I wish I was that skilled with words but it is a dictionary definition of relevance, LOL. This definition jumped out at me because I too was arrested by his performance on Idol. Art…..have to say love your review of David’s “Everything And More” and absolutely agree with you. I’m loving the song, the more I listen the more I can’t stop listening. I love everything David does….from his soaring, heartfelt ballads to his soulful, bluesy pop songs, that only he can interpret in that special way with his gorgeous voice and style. For me he creates magic with music! “a style in VOCAL MUSIC that arrests attention and has a penetrating or convincing quality or effect”?” I would say that definitely applies to David! About relevance. This is just a random thought, but could it be that the original blogger TOFan spoke about (who asked if DA was relevant) is one who lightly throws words around? Sort of like people who say something is cheesy when it is the slightest bit sentimental or generic when it doesn’t fit the current trend. I think these are overused terms now. I’ll trust the reviewers more when they try a little harder to use original language to explain their feeling about the music. Gaga is someone at the top of the heap right now but what she sings about is usually very far from relevant to my life — but I understand her appeal to others. (Wondering if the original writer considers Bieber relevant — he seems to have massive appeal to young girls and he has compared himself to MJ.) And there’s another thought and sorry for the ramble, but the world at large seemed to think that MJ has lost his relevancy, but had he? I don’t think so! I will think until my dying day that David’s TOSOD is a great album. The songs are uplifting in a way that the majority of other songs aren’t, and the album is cohesive in a way that his debut album wasn’t. I still anticipate times when I can be alone in the car so I can crank up the volume and sing along, and I come away from those events feeling recharged. It’s really too bad TOSOD didn’t get promoted more. Art, peppertara and KathyH, great points, couldn’t agree more. Esp. about how great (and underrated) an album TOSOD is. The only thing I would change is what David himself mentioned in an interview, that one producer work on the whole thing to give the production a more consistent feel. I loved the advice Alison Sudol gave David in that idolator “chat” they had … when starting a new album, to first decide what kind of “world” he wants to create for listeners. Overhead where we see it all. Nothing can touch us, we’re everything and more. There’s no turning back from this point. Reaching heights like never before. Nothing can touch us, we’re everything and more…. This was a ‘special’ post TOfan and most enjoyed by David’s fans. The flag is fying and Canada’s July 1st Birthday cake is in the oven! This is an early “Happy Birthday Canada” and “Canadians” and “Adopted Canadians” (Kizzi included) as well! Enjoy the fireworks tomorrow night! Have fun and ‘OH’ take a dog (your dog, a rescue dog) for a swim, its summer! He mooooves, he grooooves, click pic 4 moar! A little too not over it. Enter your email address to subscribe to SnowAngelz (get email notifications of new posts). Click 2 buy D’s song! Click pic 2 order BEGIN. Click pic 2 buy deluxe version! How did I forget this video existed?? Can we please just talk about this for days??? ANOTHER MUST READ FROM TINA!! !